Classification folders are made with Presstex that is specially coated to be moisture-resistant and withstand the test of time. 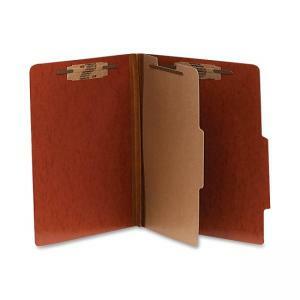 Handy partitions keep records separated and fasteners keep papers from getting lost. Design features expandable Tyvek gussets, 1" capacity and fasteners on covers and partitions. Each folder contains 60 percent recycled material.